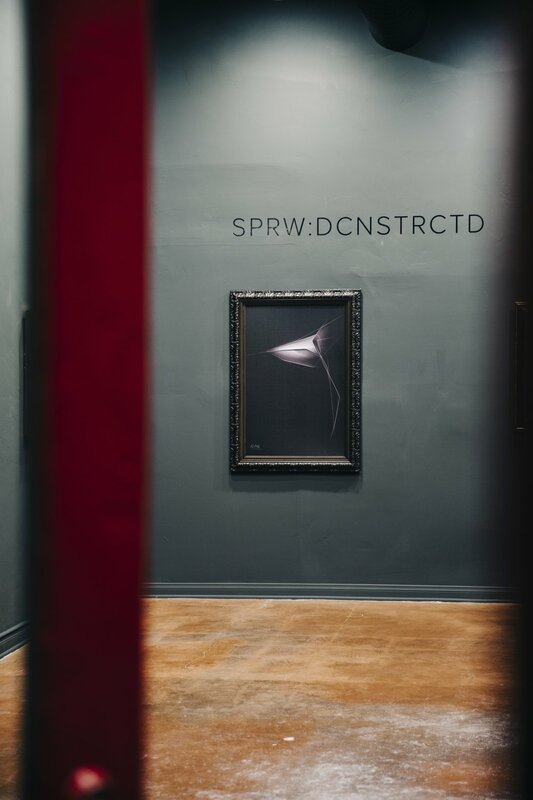 SPRW:DCNSTRCTD is my first solo exhibition. Located in the heart of Chinatown in Downtown LA, my gallery space is in Central Plaza, somewhere between the iconic Bruce Lee statue and the hospital where I was born. My grandfather once lived a few blocks away from this location. I grew up with memories of the area when I was young. This exhibit is meaningful to me, as it brought me back to the ever-changing Chinatown where I was born. It is an honest series of my work, both as designer and artist. The subject is the sparrow. The exhibit is a form study. In a series of 12 sketches and paintings, my objective was to abstract the beauty and character of the object of inspiration, the sparrow. The inspiration for this exhibit was a painting I had done 3 years before (the white background painting in the center). It was a painting I had done for my grandfather, whom I haven't seen in about 15 years. The painting was of a sparrow taking off in flight, symbolizing "new beginnings," to forget the past and look forward and upwards to the future. I decided to use the sparrow as the subject of this exhibit. In my design work, I sculpt a design language for a product to express the characteristics of a brand. Taking inspiration into abstraction is one of the most emotive parts of the design process. In this exhibit, I have taken a single subject and interpreted it in 12 different ways. Understanding how a common bird is beautiful in a dozen different ways is the essence of how I, as an artist, interpret beauty and meaning in the world. Every piece reveals how I see the world. I normally use this style of sketching on black backgrounds in my design process. 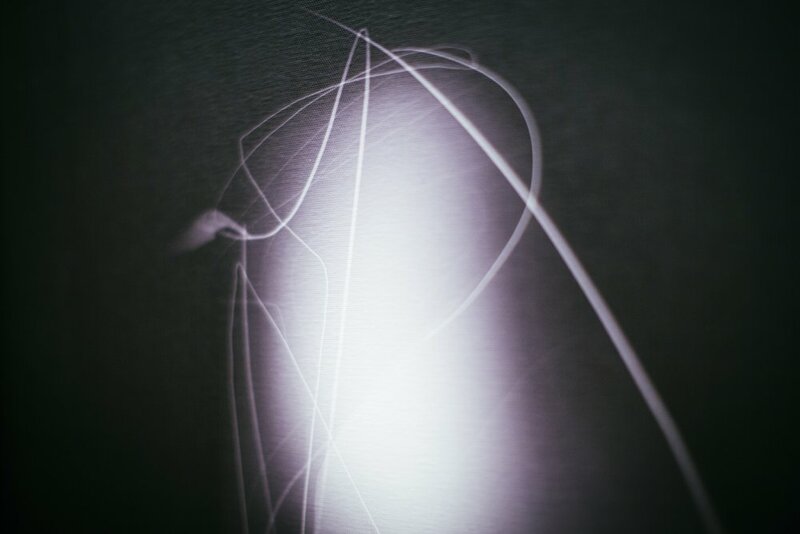 It is a way for me to sculpt form with light and to capture the character of the design with focal lighting which communicates key design gestures while letting unresolved or unnecessary details fall into darker lighting. This technique also allows the viewer's imagination to fill in the details. The use of ambiguity allows the viewer to reinterpret these abstractions in their own way. When people see, their creative minds fill in their own image and meanings. For most of my life, I never knew how to draw. I decided to learn to become a designer after I graduated from Johns Hopkins University with a degree in biomedical engineering. In the beginning of my artistic journey I struggled learning basics of sketching, and my line drawings were not as precise as many others around me. I began developing my own sketching style based on loose line work and precise sculpting of light values. Lines are almost irrelevant, as the eye physically only sees the light bouncing off surfaces of objects. However, the lines serve as vignettes for construction and gesture.